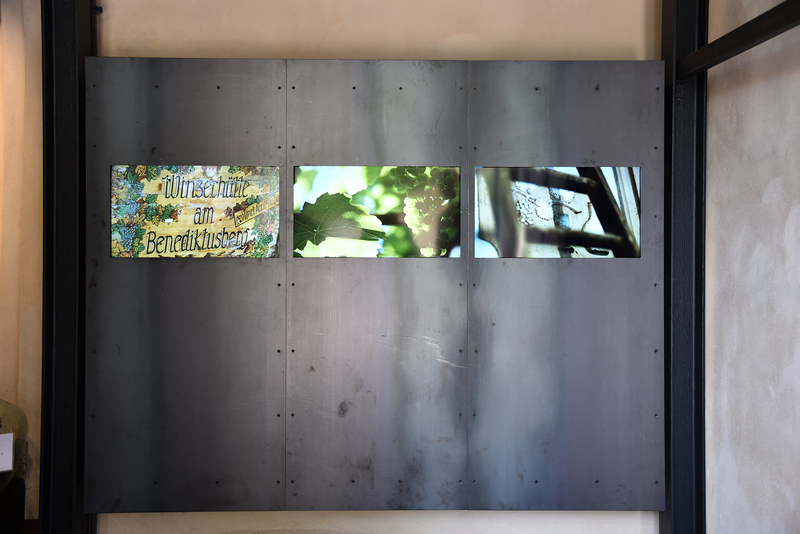 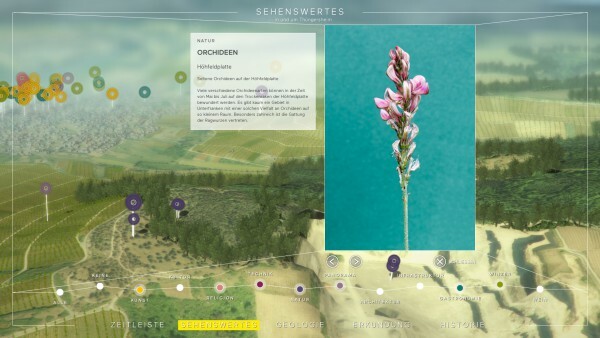 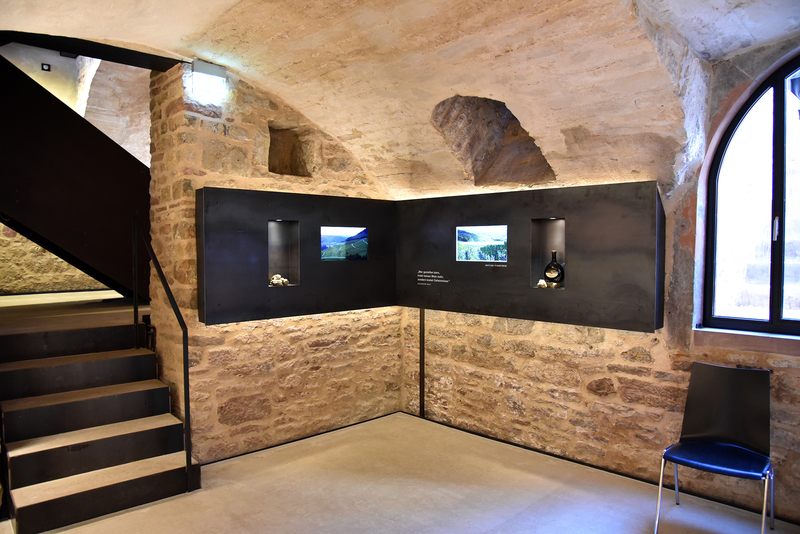 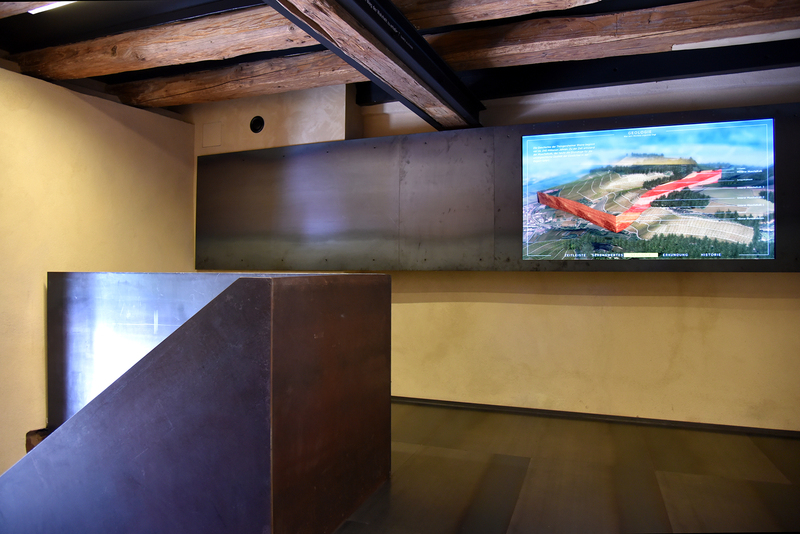 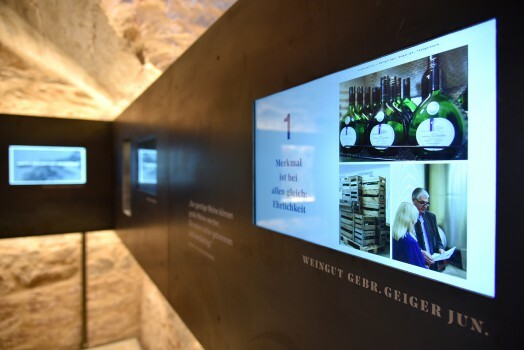 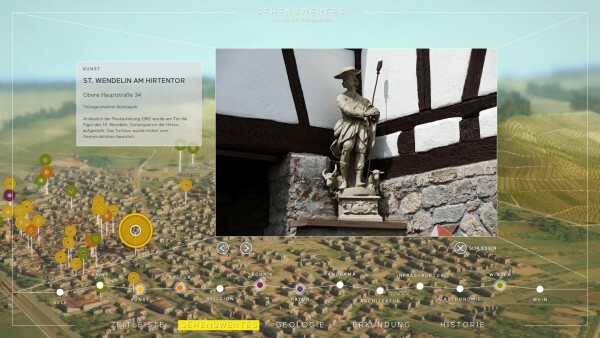 For the completely renovated medieval »Kirch Gaden« of Thuengersheim (a franconian wine-growing village) interactive exhibits have been developed. 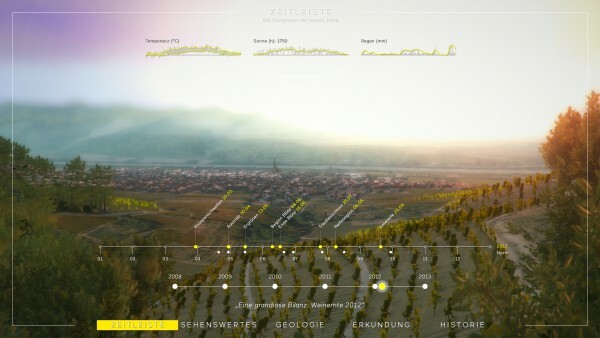 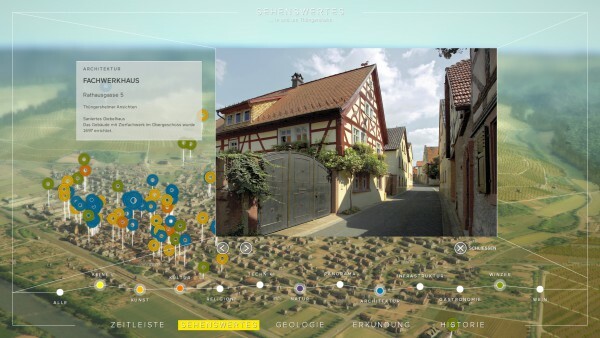 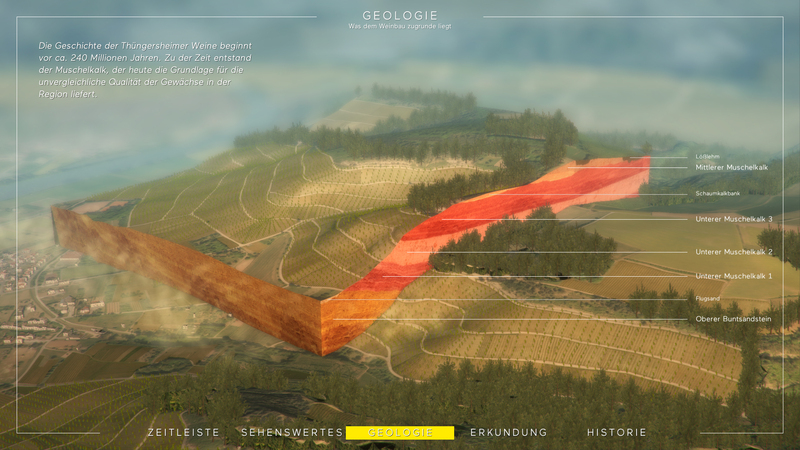 A virtualization of Thuengersheim allows entirely new »perspectives« on the franconian wine-village. 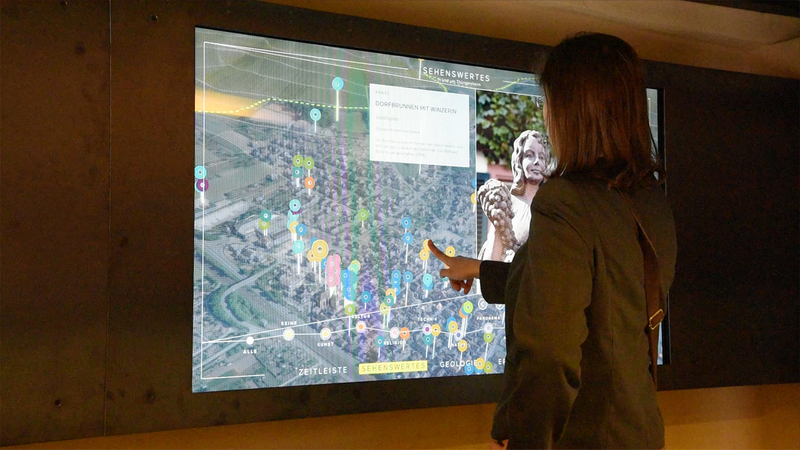 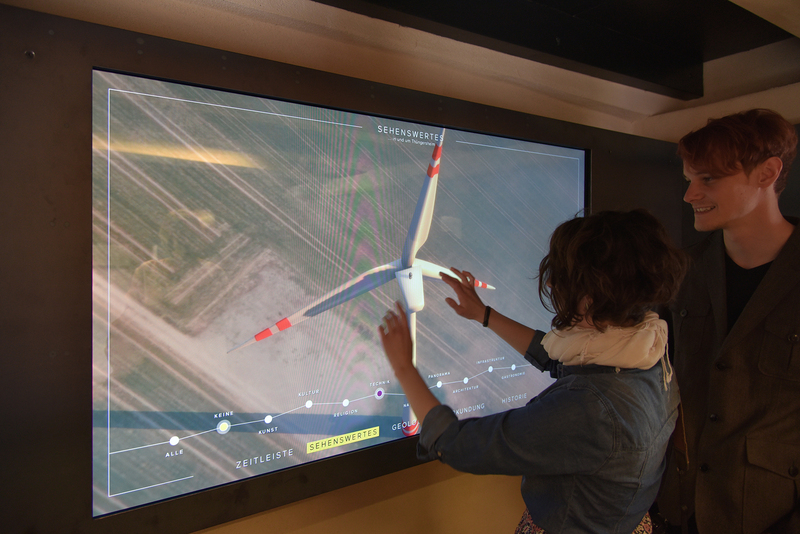 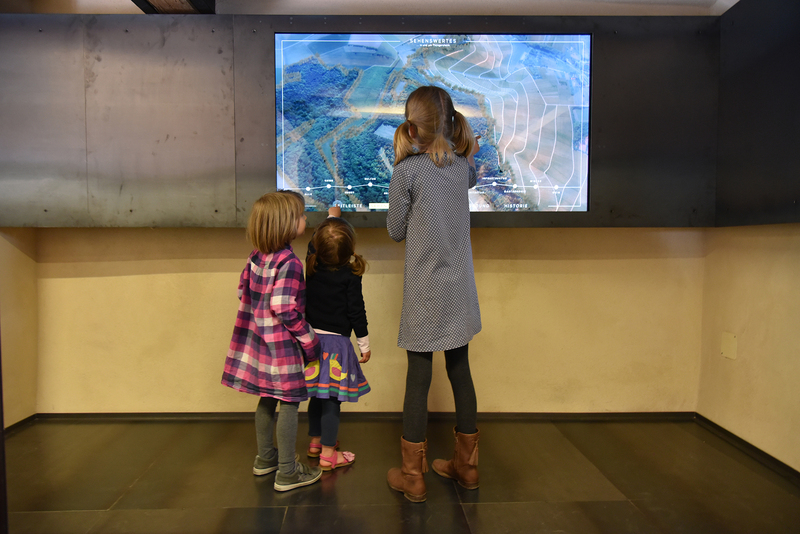 Immersive design and information graphics merge into an interactive experience space. For this Thuengersheim and its vineyards were modeled and texturized in 3D. The real-time 3D application was atmospherically expanded through the implementation of time of day and weather simulations. In a timeline historic wine vintages can be analyzed (sunshine, rain days, harvest … ) – so the quality of wine can be interpreted on the respective mood.